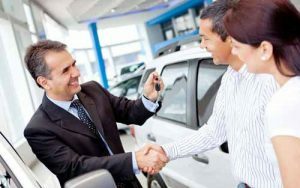 SuretyGroup.com helps auto dealers get bonded. It’s time for Nebraska Motor Vehicle Dealers to start renewing their licenses and surety bonds for 2018. Licenses are good through a calendar year which means they expire on December 31 unless renewed. Dealers for motor vehicles, trailers and motorcycles must have a $50,000 surety bond in place before their license can be renewed. Motor vehicle auction dealers must obtain a $100,000 surety bond. The surety bond must be turned in with the application and filed with the Nebraska Secretary of State – Corporate Division. The original bond with original signatures and notary must be submitted with the application. Individual owners must have their bond issued in their name, along with “dba” (doing business as) and the name of dealership. Partnerships must have their bond issued as names of partners, along with “dba” and the name of dealership. If the name of the corporation already reflects auto/trailer/motorcycle sales, then the bond is issued as the corporation name. If the name of the corporation does not reflect auto/trailer/motorcycle sales, then the bond is issued to the corporation or LLC with “dba” plus the name of the dealership. The dba must reflect the type of vehicle the dealership sells. Before renewing your bond for 2018, check your bond rate to ensure you are getting the best value possible. SuretyGroup.com offers free, no-obligation quotes to help you save money. We are licensed to write all Motor Vehicle Dealer surety bonds in Nebraska, including surety bonds for new and used vehicle dealers, motorcycle dealers, trailer or mobile home dealers, and auction dealers.